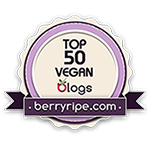 As you can see, I have extended the list of noteworthy sites and blogs that are vegan- and/or green/sustainable-oriented on the right hand side of this page. I realize that it's a little low on the green/sustainable side, but I am planning on researching sites and adding them to the list as soon as I can. Feel free to inform me of sites that you've found that were interesting, as well. I've just finished creating a webpage about why I am vegan and when I googled for it, came across yours. It's awesome and such a comfort too, to see someone who like-minded who makes the link between the environment and food choices! If you're interested in taking a look, the page is http://www.whyiamvegan.com/webs. In the meantime, I'll enjoy having a good browse of yours!